Frederick Douglass Now @ Prospect Park, 6:30PM, Gates open at 7:30PM show, Prospect Park Bandshell, 9th Street and Prospect Park West. 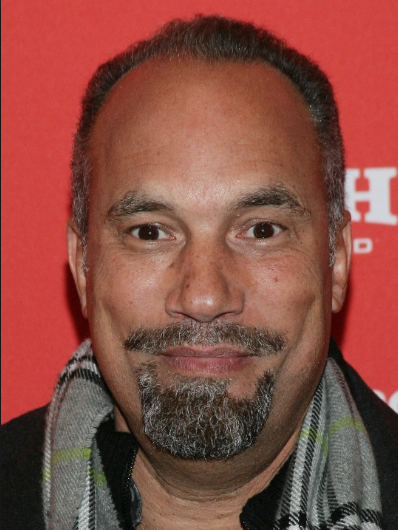 Witness the fantastically topical one-man show from writer/director/performer Roger Guenveur Smith. With a spotlight on social justice and democracy, Smith presents the words of the famous abolitionist in a 21st century context using spoken word, rap, revival minister, slam poetry and song. Branford Marsalis both embraces tradition and pushes boundaries as a Grammy Award-winning saxophonist. His quartet’s two full sets of music will bookend Smith’s performance. Translucent Borders @ Jack Crystal Theater, NYU, 111 Second Ave., bet. 6th and 7th Streets, Manhattan. 7:30-9:30PM, FREE. This NYU/Tisch initiative has spent the last three years bringing renowned artists from around the world together to develop ways that dialogue can fuel creative work while retaining cultural identity and integrity. Tonight, musicians and dancers from Ghana, Cuba, the Middle East, Italy, Trinidad and Tobago and the United States, fresh from performances at Jacob’s Pillow Dance Festival and the Lincoln Center Atrium, will perform at New York University, showing the results of a creative dialogue over the past year. The Life & Times of Elizabeth Kekly – Free Black seamstress from Petersburg, VA finds opportunities w/DC elite in 1860. (42mins., directed by T. Reid, USA) Showtime: 4PM, Discussion: 4:45PM. The African Who Wanted to Fly – Central African boy dreams of flying, becomes a major actor in Chinese film industry. (1hr. 10mins., directed by S. Biffot; Gabon, China) Showtime: 5:00PM, Discussion: 6:15PM. The Honest Struggle – Documentation of a middle-aged ex-Chicago gang chief who strives for successful readjustment “in the free” after spending most of his life behind bars. (58mins., directed by J. Mashouf, USA) Showtime: 6:30PM, Discussion: 7:30PM. Land of Dance – Dance practices in Guinea, West Africa and the meaning of “traditional” as it stands in terms of Western culture. (17mins., directed by I. Camara; Guinea, UK) Showtime: 7:45PM, Discussion: 8:10PM. Parkside Playground, Winthrop St./Parkside Ave./Rogers Ave., 8:30- 10:30PM. Join NYC Parks and the Mayor’s Office of Media and Entertainment for this free family film! Based on the Marvel Comics character, this mega blockbuster follows T’Challa’s return home as King of Wakanda, challenged by a new adversary in a conflict with global consequences. Directed by award-winning Ryan Coogler (Creed), this cultural phenomenon stars Chadwick Boseman (Avengers: Infinity War), Michael B. Jordan (Creed), Danai Gurira (The Walking Dead), Oscar nominees Daniel Kaluuya (Get Out) and Angela Bassett (What’s Love Got to Do with It? ), Oscar winners Lupita Nyong’o (12 Years A Slave) and Forest Whittaker (The Last King of Scotland). Arrive early for a spot for your picnic blanket or chair. Food is OK. No alcohol or smoking permitted. ARTs East New York, in conjunction with Art Active, offers the opportunity to create a collaborative work of art at the Livonia Ave. Bridge connecting East New York to Brownsville. Located at the Livonia Ave. stop on the J train and connecting to the Junius St. stop on the #3 train, the bridge is a high-traffic area with great visibility. The design must incorporate the history of the two neighborhoods with healthy practices. Installation artists, painters, designers and sculptors are encouraged to apply. The initial idea will be augmented by input from the community. Submit entries to Jabari Qwens-Bailey, jabari@artseastny.org. Include a proposal, artist’s bio and five examples of prior work in jpeg format, no more than 500 dpi. Deadline is June 30th with selection on July 9th. ARTs East New York can be reached at 718-676-6006. Fresh Start Home Resource Expo @ Boys & Girls H.S., 1700 Fulton St. near Utica Ave., 10:30AM -3:00PM. This FREE event is open to both homeowners and renters and will feature nonprofits, government agencies and housing resource professionals ready to provide attendees with information and opportunities to register for free services. Repair grants, preserving your home, tenants’ rights, etc. Learn about: First-time Homebuying Grants, Keeping Your Home in the Family, Financial Management, Foreclosure Prevention, NYC Housing Connect & How it Works and Do-It-Yourself Repair. Register online at https://www.bsdcorp.org/events/expo/. For info: 718-636-7596, Ext. 214. Book Talk – History Teaches Us to Resist: How Progressive Movements Have Succeeded in Challenging Times @ Brooklyn Historical Society, 128 Pierrepont Street. Doors open at 6PM, Event is 6:30-8PM, $5. Throughout American history, eras of political turmoil have presented obstacles to progressive ideologies. But even during the trying times, movements gain traction. Dr. Mary Frances Berry, Professor of History at the University of Pennsylvania, presents a history of mobilization against imbalanced power, from antiracist actions during WWII to protests against the Vietnam War, to recent demonstrations focusing on environmental justice, LGBTQ+ rights and more. Resistance is not new, and it is not going away. For info: 718-222-4111, Ext. 250. 8TH Annual TAMA Summerfest on Sat., July 21st & Sat., August 18th @ Tompkins Ave. bet. Gates Ave. and Halsey St. Music, food and fun for all ages! Come out and witness the magic that is Tompkins Avenue, offering an eclectic mix of boutiques, eateries, wellness services and more. Afrobeat Fitness Class, Rock-climbing wall, STEM Tent, Children’s Play Corner, Love in the Streets dance party, Live Entertainment, Wine-tasting, Fashion show and more. Register on Eventbrite to receive free giveaways (must check in at the TAMA Table). 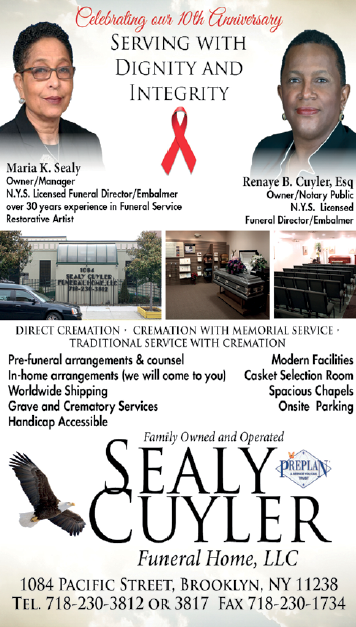 For information call Oma Halloway at 718-636-7596, Ext. 218.